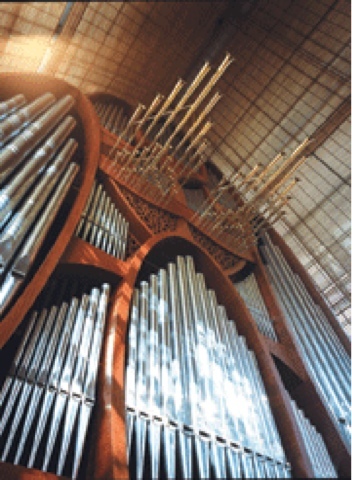 The Miami International Organ Competition is a bi-annual competition sponsored by Fratelli Ruffatti and the Church of the Epiphany, with the intention of encouraging and recognizing talented young organists from around the world. Any organist born on or after February 28, 1984, is eligible to compete in the 2014 competition. The deadline for receiving all preliminary round application materials is Friday, December 6, 2013. Final round competition will take place on Friday, February 28, 2014. The competition’s website is available here. Several of the recent winners have presented or will present recitals and papers at the colloquium and other conferences, including one of the CMAA’s board members, Mr. Jonathan Ryan. The beautiful Ruffatti instrument and Epiphany church also served as the home of the February 2012 Tournemire conference which the CMAA hosted in Miami.